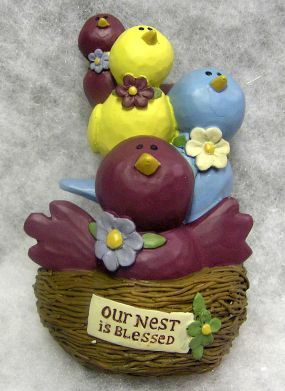 "Our nest is Blessed" is on a sign on this resin bird's nest. There are four birds sitting in the nest with flowers on them. 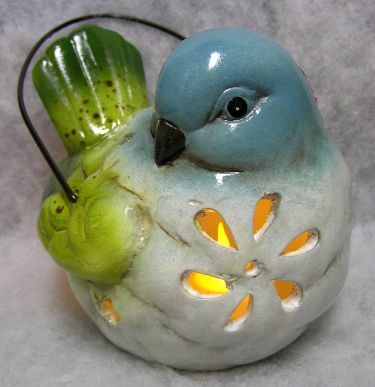 This ceramic bird has a flower cut out to let the light shine through. He is teal, white and lime green in color and has a black handle. The votive is included. He measures 5 x 6 x 5 + hanger. 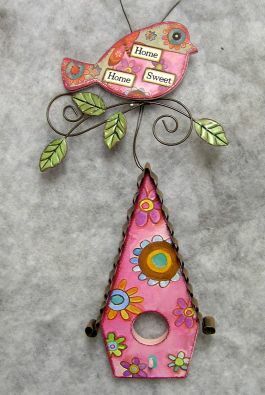 These birds and birdhouses come in two styles: pink with Home Sweet Home (shown) and blue with Laugh Live Love (click on photo to see this option). They have metal leaves and vines and the birdhouse has a corrugated metal roof. It measures 12 x 6 x 1. This ceramic item has the word "JOY" spelled out with wood and branch looking letters. 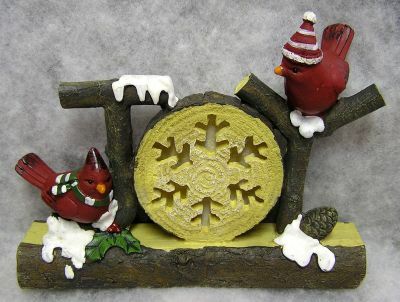 There are two red birds sitting on a snowy branch and the "O" has a snowflake cut out in the center. It measures 6 x 7 x 1 1/2. This resin butterfly house has lots of cute details. 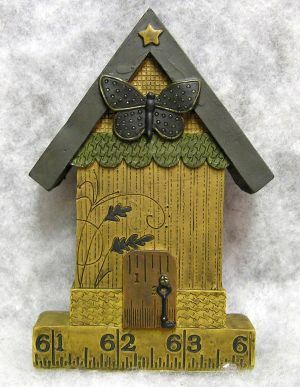 There is a butterfly on the top with a door with a key on it. It has a ruler look bottom. It measures 5 1/2 x 3 1/2 x 1. A ruler looking base and heart door is part of this small resin butterfly house. It also has a flower on the roof. It measures 4 1/2 2 1/2 x 1. These resin stacked birds come in two styles: White Birds (shown) and Red Birds (click on photo to see this option). 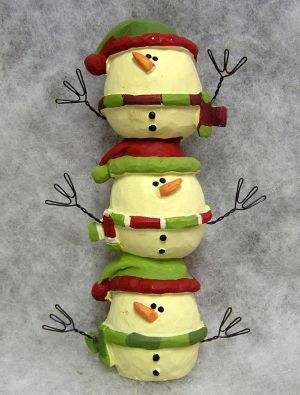 The white birds have snow hats, scarves, and wire arms. 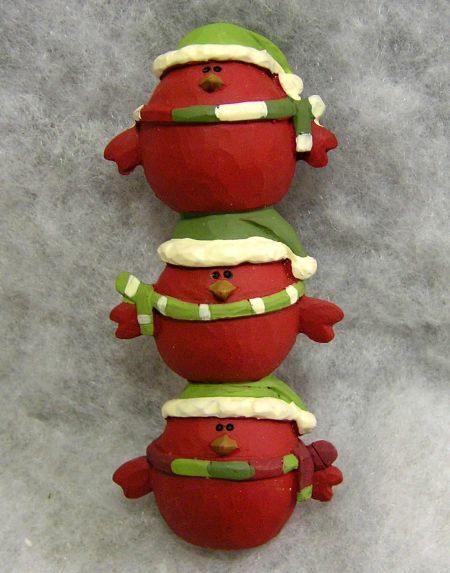 The red birds have snow hats, scarves, and little red wings. They measure 4 1/2 x 2 x 1 1/2. 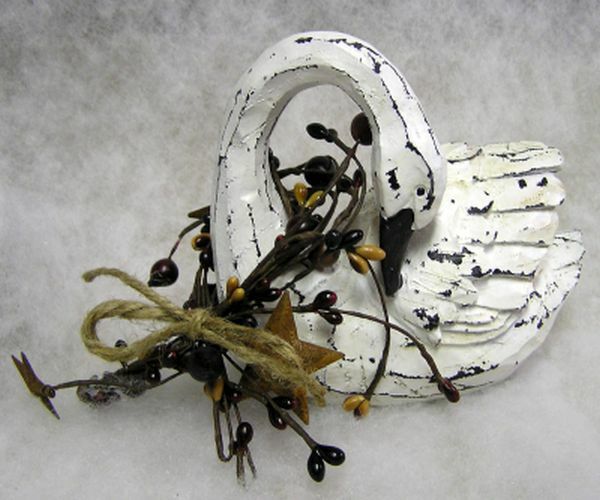 This unique wooden carved swan has an antique finish. It also features a berry and tin star garland around its neck. 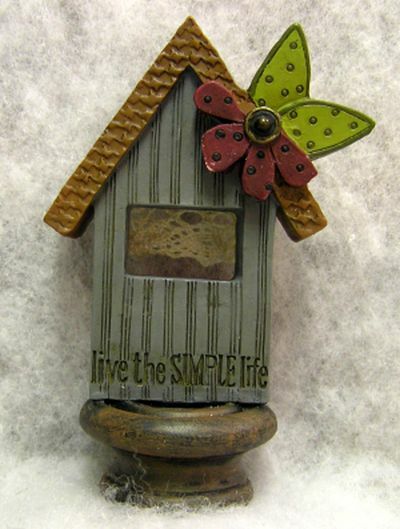 "Live the Simple Life" is engraved on the bottom of this birdhouse. 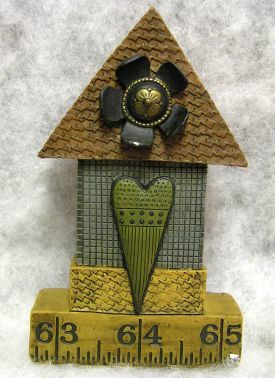 It has a flower and butterfly on the roof and is sitting on a knob. There is a lace curtain behind the window. It measures 4 x 2 1/2 x 2. 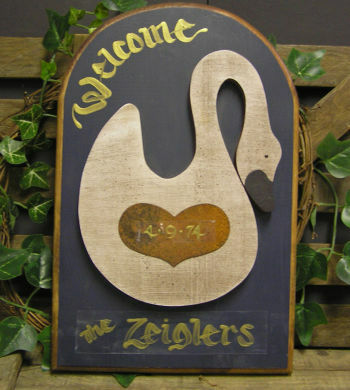 This beautiful original design wooden swan sign is hand painted and can be personalized with whatever you would like...just let us know. In this photo you can see it with "Welcome", name, and date on the heart. 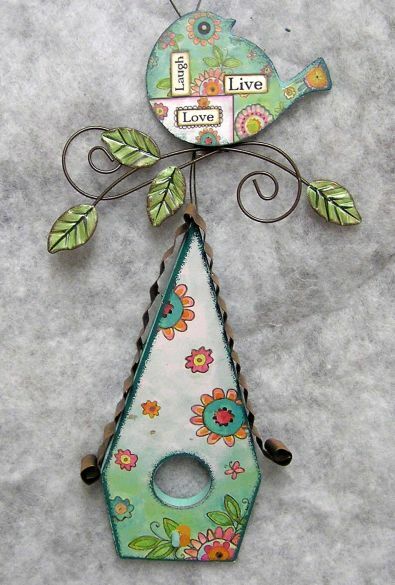 The heart on the center is rusty tin. It measures 12 x 8 x 1 1/2. This realistic looking birdnest is made of vines and twigs and has ferns and greens woven into it. 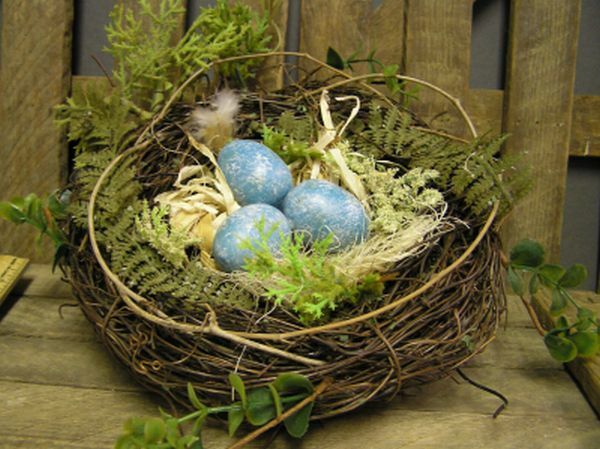 It also has three blue speckled eggs snuggled down in moss and straw. It measures 6 x 9 x 9.